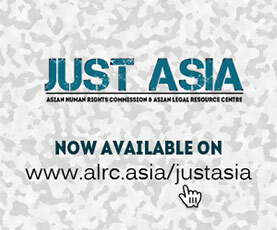 Please find below a joint press release issued by 10 international NGOs, including the Asian Legal Resource Centre. (New York, May 13, 2010)  The absence of competitive slates in todays elections for the United Nations Human Rights Council undermined membership standards and deprived the General Assembly of the opportunity to elect the most qualified countries, the NGO Coalition for an Effective Human Rights Council said. The election results for the 14 new Human Rights Council members were largely a foregone conclusion, as all five UN geographical regions for the first time put forward slates in which the number of candidates equaled the number of seats allotted to the region. Human Rights Council members are expected to uphold the highest standards of human rights and “fully cooperate with the council under the General Assembly resolution that established the council. The NGO coalition had called for Angola, Libya, Malaysia, Thailand, and Uganda to take specific steps to improve their human rights records in advance of todays election. The NGO coalition focused its attention on those five states based on the availability of direct research concerning the human rights situation in those countries and on the extent of human rights concerns identified. The countries elected to the Human Rights Council today are Angola, Libya, Mauritania, and Uganda from the Africa Group; Maldives, Malaysia, Qatar, and Thailand from the Asia Group; Moldova and Poland from the Eastern European Group; Ecuador and Guatemala from the Latin America and Caribbean Group; and Spain and Switzerland from the Western European and Other Group. The Eastern European Group began the year with a competitive election, but Croatia withdrew its candidacy in February. The Asia Group also had a competitive election under way until Iran withdrew its candidacy in April in the face of mounting global opposition based on its record of serious human rights violations. “Irans withdrawal showed that international pressure can improve the membership of the council, and demonstrated the importance of competitive elections for seats, said Bahey el-din Hassan, director of the Cairo Institute for Human Rights Studies (CIHRS). Nongovernmental organizations have had an impact on the competitive election process each year, successfully opposing the election of Iran and Venezuela in 2006, Belarus in 2007, Sri Lanka in 2008, and Azerbaijan in 2009. Substantial attention has been focused on the election of states with poor human rights records to the council, but too little notice has been given to the flaws in the election system itself, the NGO coalition said. The Latin American and Caribbean Group has had a closed slate every year after the councils first elections in 2006. While Africa had a competitive slate last year, the rotation system that the African region uses virtually guarantees that states that do not meet the standards set for council membership will nonetheless become members. States with stronger human rights records in the region have been unwilling to challenge Africas standing practice of putting forward “closed” slates. In addition to having a closed slate this year, the Western European and Others Group offered no competition in 2009, when New Zealand withdrew its candidacy after the United States entered the race. The states elected today will take their seats on the council on June 19, 2010. The NGO coalition called for newly elected states to take concrete steps to meet membership standards by that date. In particular, new members should respond immediately to all outstanding requests for visits by human rights experts appointed by the council.